Analysts at Wells Fargo downgraded Yelp Inc (NYSE: YELP) from Market Perform to Underperform. Yelp shares fell 2.90 percent to $29.50 in pre-market trading. RBC Capital downgraded Mosaic Co (NYSE: MOS) from Outperform to Sector Perform. Mosaic shares fell 0.42 percent to $26.37 in pre-market trading. Analysts at Stifel Nicolaus downgraded FreightCar America, Inc. (NASDAQ: RAIL) from Buy to Hold. FreightCar America shares gained 1.85 percent to close at $15.42 on Tuesday. 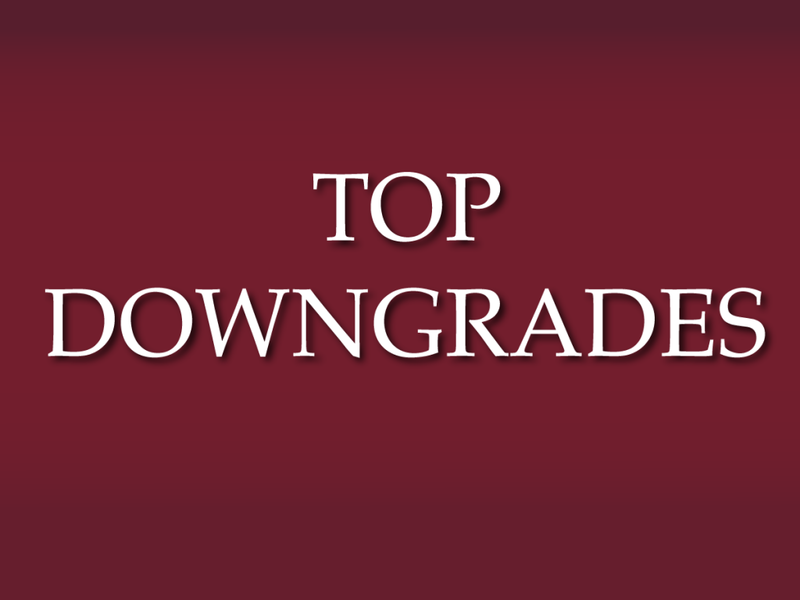 Wells Fargo downgraded Darden Restaurants, Inc. (NYSE: DRI) from Market Perform to Underperform. Darden Restaurants shares fell 1.46 percent to $61.88 in pre-market trading. Bank of America downgraded Robert Half International Inc. (NYSE: RHI) from Buy to Neutral. Robert Half International shares rose 1.97 percent to close at $39.94 on Tuesday. Analysts at Deutsche Bank downgraded Metlife Inc (NYSE: MET) from Buy to Hold. MetLife shares slipped 0.76 percent to $40.45 in pre-market trading. Keefe Bruyette & Woods downgraded Primerica, Inc. (NYSE: PRI) from Outperform to Market Perform. Primerica shares closed at $58.95 on Tuesday. Barclays downgraded Phillips 66 (NYSE: PSX) from Overweight to Equal-weight. Phillips 66 shares closed at $76.40 on Tuesday. 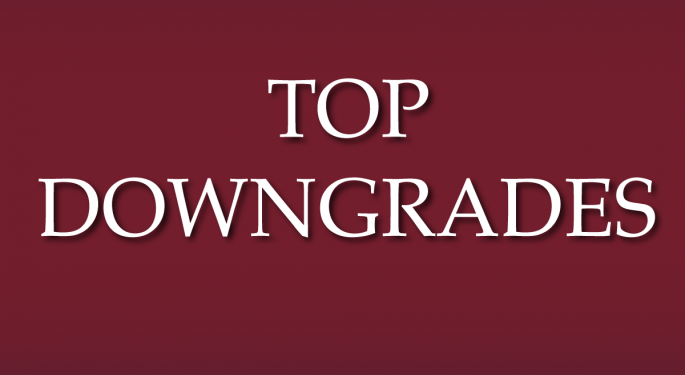 Analysts at JP Morgan downgraded Host Hotels and Resorts Inc (NYSE: HST) from Neutral to Underweight. Host Hotels & Resorts shares closed at $17.16 on Tuesday.